Dovefest will be offering cuisine from around the world plus some yummy things for those with a sweet tooth! We’ve also listened to you folks and we have veggie and gluten free options. 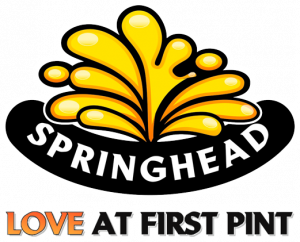 Springhead Brewery are providing a great selection of cask ales and lagers. Check out our Cider and Perry on offer this year! Plus we have Wine (Red, White and Rose), Prosecco and we’ve got Smirnoff Vodka and Gordons, Tanqueray and Bombay Sapphire Gin available too, as well as a selection of Soft Drinks. We like to do our bit for the environment so buy your re-useable Pint Pot for £1 (kindly sponsored by Abode Anderson-Dixon Estate Agents). Take it back and get it filled up, then take it home as a memento of the day! The bar is challenge 25, so make sure you have ID if you’re lucky enough to look so young. Please be aware that the Field Bar and Doveridge Club do not take credit or debit cards, so please bring CASH with you if you intend to purchase food or drink while at the festival. Doveridge Post Office does allow withdrawals for some banks. Dovefest is a FREE festival and our ability to provide you with such a good time and keep the festival FREE for, is based on you enjoying our food and drink. Please don’t be a meanie and be tempted to bring your own food and drink onto the site.